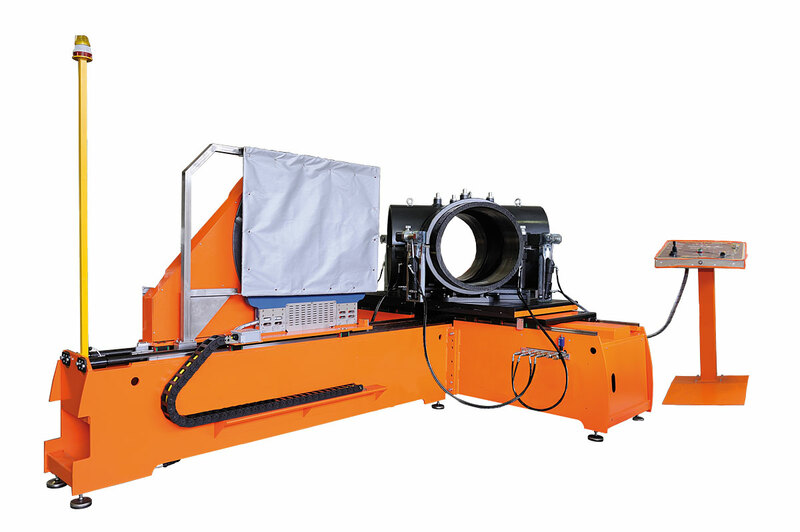 ALFA 630 T is a workshop welding machine designed to fabricate fittings by joining pipe segments, with the help of special jaws. 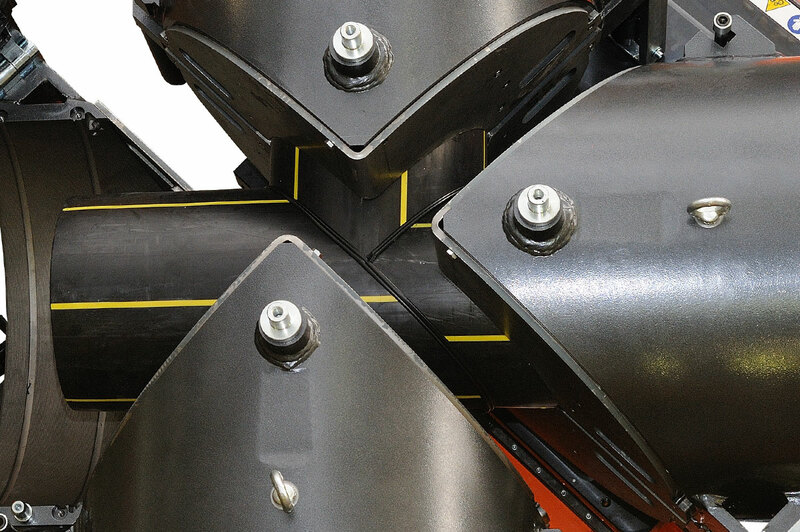 All jaws movements are electro-hydraulically operated, both the open/close movement and the blocking mechanism. The ALFA 630 T can also weld special and moulded fittings such as elbows, tees and flange necks, thanks to a different type of special jaws. 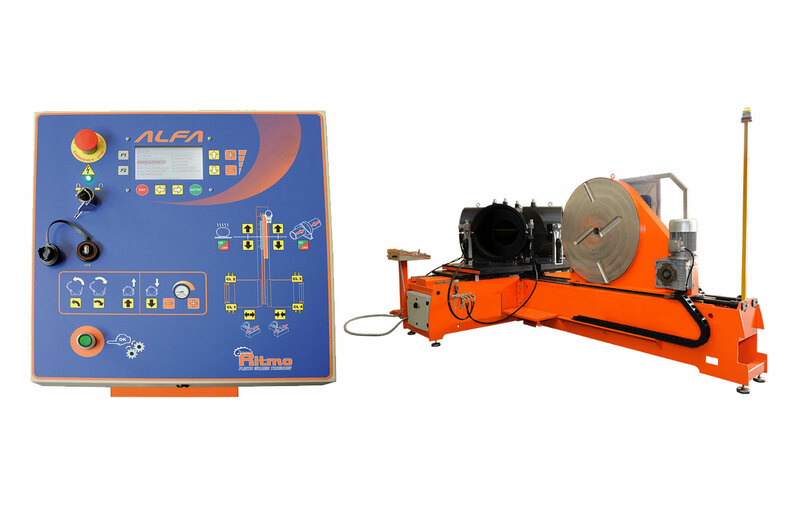 - A control panel that features the CNC system, thanks to this would eliminate any risk of error due to the operator. The CNC incorporates a data-logging that can store up to 4000 cycles. 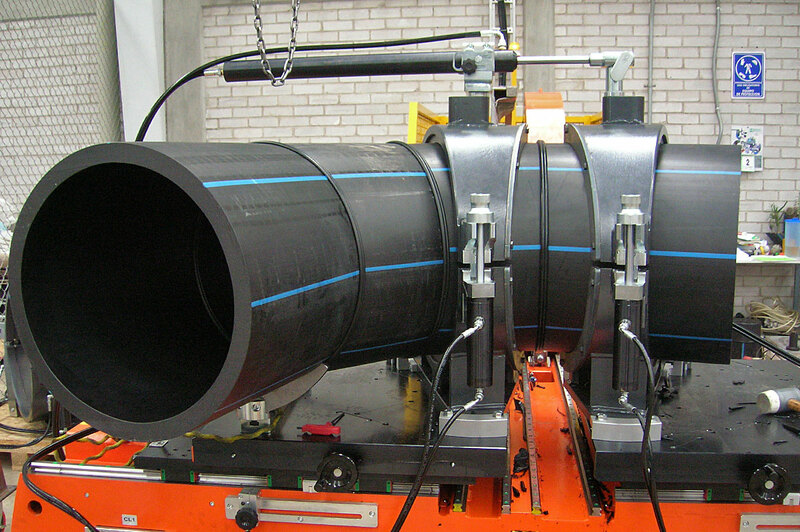 - An upper cylinder, to be positioned on the jaws, for welding extra thick pipes and/or whenever it is necessary to apply high pressures.